Few games were played, but plenty of scoring was done. 2019 is shaping up to be another two-horse race in Red River's Men's Division I competition, with the Austin Blacks and Dallas Rugby both exerting their dominance over the rest of the league. Saturday saw the Blacks cruise to a 91-3 victory over San Antonio Rugby; where replacement wing, Preston Weigel managed to score a hat-trick despite being on the field for only 40 minutes. Dallas landed an equally impressive win over the West Houston Lions, taking them down 71-0. Three players for the Reds, Darrien Pipkins, Chad Joseph and Jake Campey, scored braces on their way to securing the victory. Dallas enjoys a bye, while the Blacks will face the Lions this weekend before the two meet for their first game of the season. It was a routine outing for the Austin Valkyries against the Dallas Harlequins, as they were able to win their first game of the season 60-0. Sierra Jenkins was a major part of the win crossing the line three times on the day to help secure the win. The Austin Blacks' D2 squad made it two from two on the day when they took down Dallas Athletic in emphatic style, 64-8. Leading the efforts for Austin were lock Tim Barton and flyhalf Diego Sotelo. Barton got a hat-trick in the first half and Sotelo was able to do damage with both the boot and ball in hand, scoring 19 points on the day. In the other game that took place, the Dallas Harlequins D2 survived a shootout with Fort Worth Rugby, 61-43. In what was a true team effort six different players crossed the line for the Harlequins; while Andrew Audet did his best to keep fort worth in the fixture with a hat-trick, but it wasn't enough. The Little Rock Stormers got their second win in as many weeks against Dallas Rugby, this time beating them by 50 points. Leading the way, again, for the Little Rock was Abby Vestal- who scored 20 of the team's 50 points. 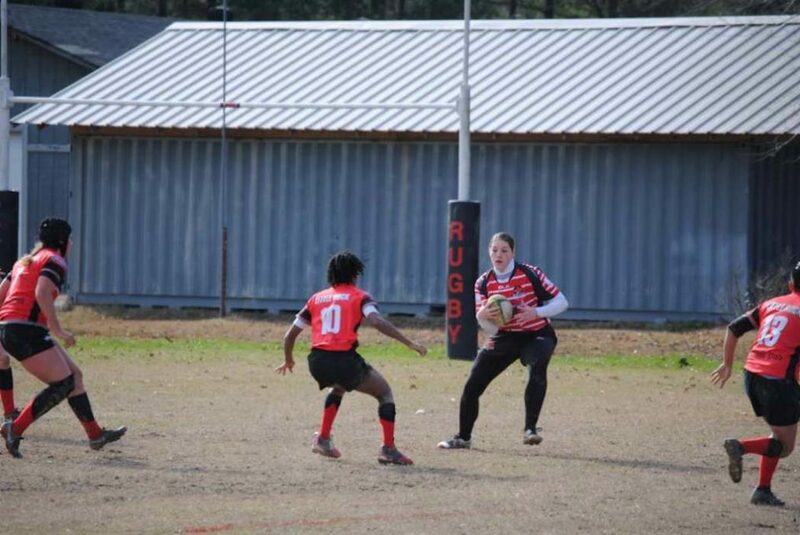 Also contributing to the cause were Kristina Hickmon and Zenobia Bowman, who both scored two tries in the contest. In Division III play, Dallas Rugby D3 more than doubled the score of their opposition as they came away with their encounter against Shreveport with a 36-15 victory. Bentley Alsup was the hat-trick hero with wing Brandon Davis not too far behind, bagging himself a brace. Houston United D3 landed a dominating win over the Woodlands D3 squad, 64-14. Three players scored two tries for HURT D3, Liam Slaven, Baidy Racine and Nathan Cash. Fort Worth D4 ran rampant over the Dallas Diablos. John Ely was the pick of the try scorers crossing the line three times in the contest. Grand Prairie Mavericks D4 and the Tyler Hoplites met for the second time this season, and there was a reversal in outcome. The Mavericks D4 were able to establish an early 24 point lead and never looked back, eventually winning 36-14.